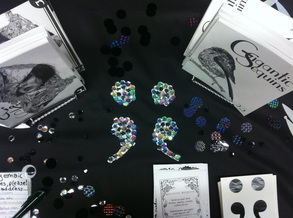 Gigantic Sequins is home to many talented and diverse writers and artists. To keep this biannual print journal going, we need your help! Support our independently run, all-volunteer efforts by donating via our Patreon page. Donations in any amount are accepted, and a donation of only $10 gets you a copy of GS 6.1 when it drops this January! *SPECIAL FOR FALL 2014* Do you have a chapbook manuscript you're looking to publish? Send it over to the current BOAAT Press Chapbook Competition. They're kind enough to be donating 25% of their earnings this month to us!